If you have ever thought about having a psychic reading done, then you’re not alone. For busy working parents, sometimes getting back in touch with our spiritual sides and seeking some guidance on just what the future might hold for us is exactly what we need to feel centred again. Psychic readings can be a great form of release but when you do decide to have one, it’s important that you bear in mind some simple tips to make sure you get the very most out of the experience. First of all, seeking out a reputable and genuine psychic is highly important to make sure you know you’re getting the real deal and you’re not being conned out of your hard earned cash! Do your research online as well as seeing if anyone you know can give you any recommendations based on their own experiences. The next step is to decide whether you want a telephone consultation or a visit in person. Some psychics even offer MSN chat readings! Telephone readings are generally cheaper and they are more convenient for busy working people, but they are not always as effective as face to face visits. If you decide to have a psychic come to your home or if you go to them, it’s of course even more important to make sure that they are trustworthy. When you have booked your reading, one way to make sure you get the most out of it is to know what it is you want to find out. This might sound obvious, but going with no idea of specific questions or issues you want to explore will make the reading much less effective, no matter how talented the psychic is. 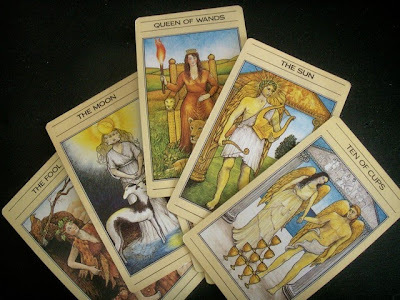 You’ll also have to decide whether you want a medium, clairvoyant or tarot card reader – do your research to decide what will be best for you, based on what you want to get out of the experience. Have you ever had a reading? What was your experience like? I have had a few reading and I don't think anything said about my future came true. Some things about my past and present were true but I think the reader kind of read into what I said and took it from there. I am not saying I don't believe in psychic readings or readers - I just think there are good readers out there and not so good readers. I obviously saw a not so good one! I have had a reading a few years ago not long after my Dad passed away it certainly gave me more comfort about his passing. I found also that they did seem to know an awful lot so from my experience if you want to go to one than its worth giving it a try. I would certainly consider going again.